Chic shopping, world-class cuisine, and awe-inspiring architecture await you. Ginza is THE place to window shop in Tokyo. Opulent brands and cutting-edge trends abound. 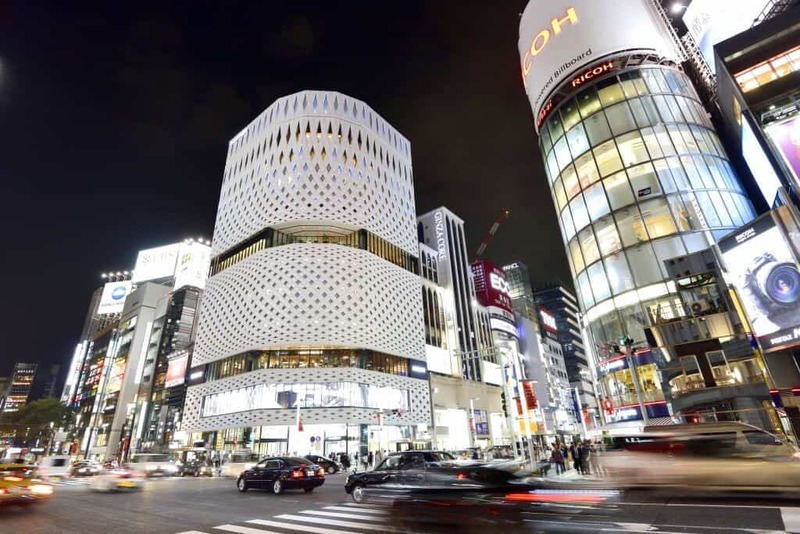 Japan’s prominent retailers have flagship stores in Ginza. They go way over the top to get your business. You’ve never had a department store experience like this. 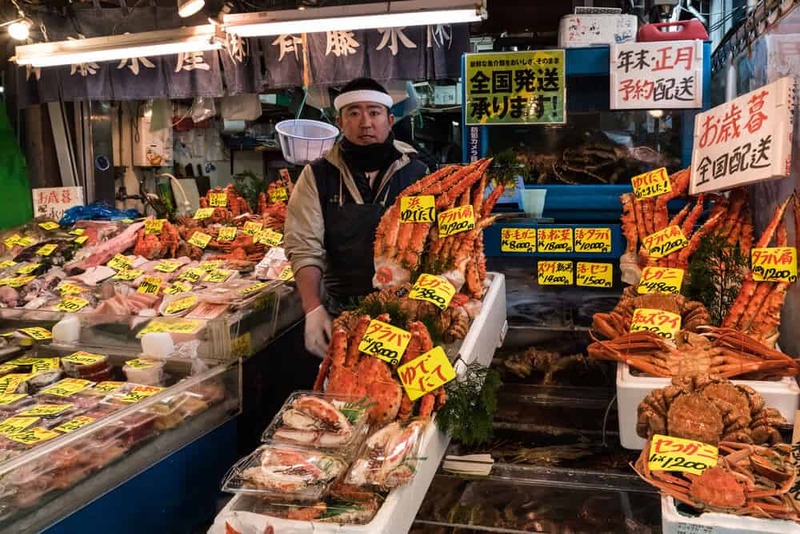 After browsing the overpriced goods, savor some of the best dining in all of Japan. 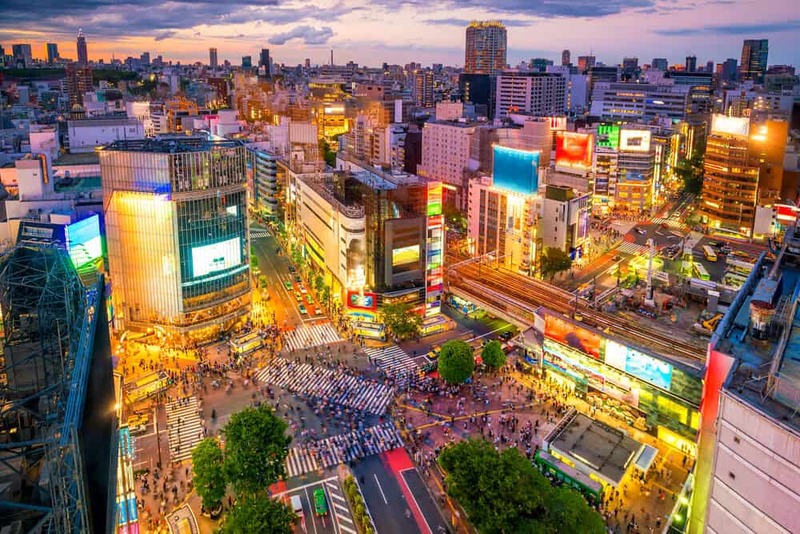 You’ll love Ginza’s shopping, dining, architecture, and atmosphere. A fire ravaged Ginza in 1872. The Meiji government rebuilt the district as a model of modernity. They built western-style brick buildings, broad avenues, and shops. The shops that sprang up featured the latest fashions. Window displays often drew massive crowds. The shops played a central role in popularizing Western fashions in Japan. Modern skyscrapers have replaced most of the older buildings. A few period buildings grace Ginza’s central street. Although the luxury goods come with some pretty impressive price tags, window shopping is free. Ginza has lots to look at. Many international brands have flagship stores with striking displays. On Saturday and Sunday, from 12:00-17:00, the main street closes to traffic. Shoppers stroll down the avenue without worry. The car-free street recreates the atmosphere of Meiji-era Ginza. 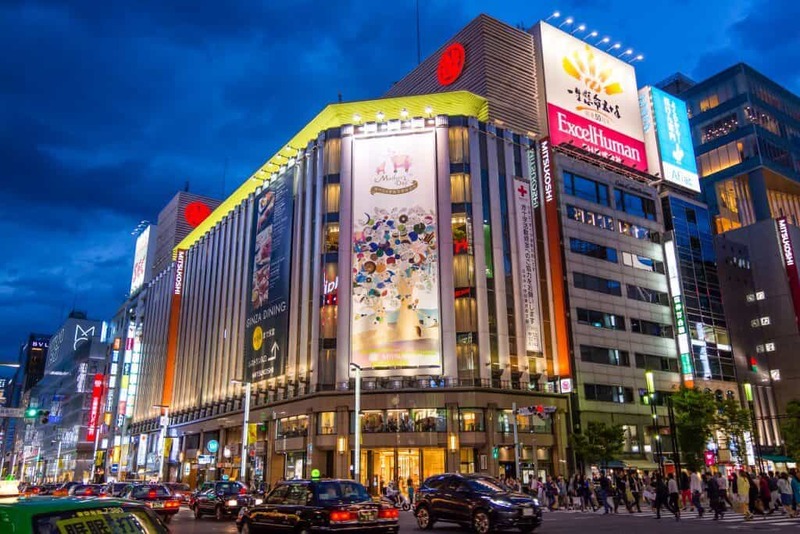 Ginza is synonymous with shopping. 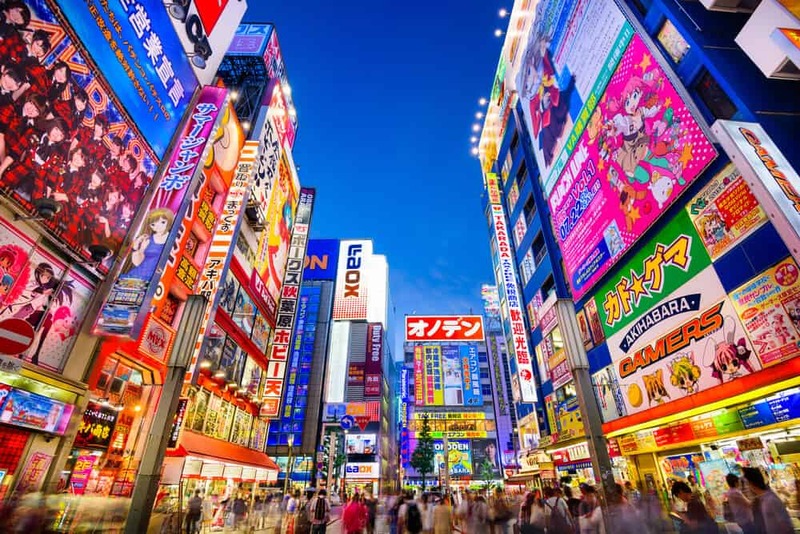 Ginza is to shopping what Akihabara’s to electronics – nothing else compares. Shopping here’s an unparalleled experience. 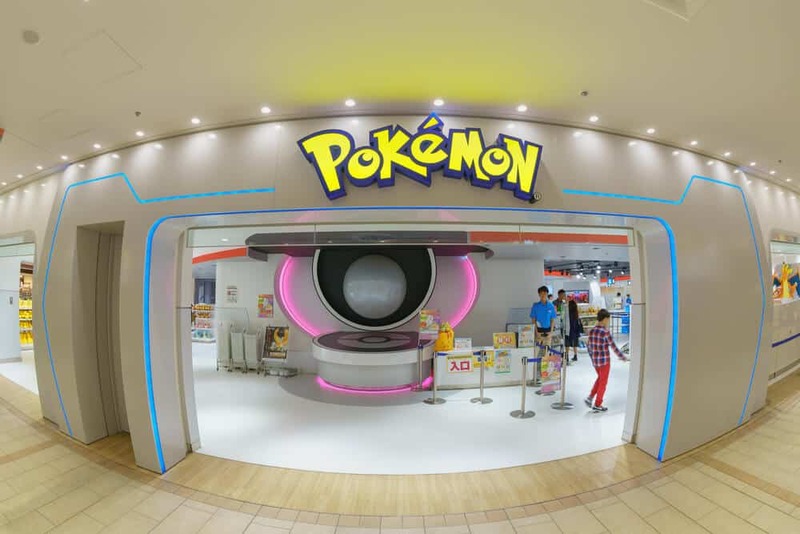 Let’s visit a few of the prominent stores. Mitsukoshi’s the oldest department store in Japan. 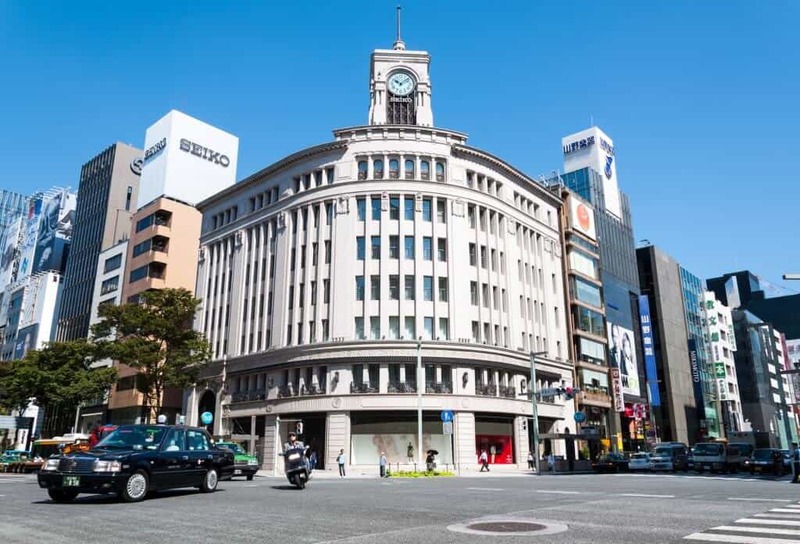 The first Mitsukoshi opened in nearby Nihonbashi district in 1673. Ginza’s now the flagship store. Two majestic bronze lion sits outside the main entrance. They’re a useful meeting point; your friends can’t miss them. The store’s air of opulence and luxury hasn’t changed in decades. Be prepared for politeness so over the top it’s comical. Gloved door attendants open the doors and bow as you enter. If you buy something, staff will walk you to the exit and bow as you leave. As the store opens, the entire staff greet the first customers of the day. Some shoppers reciprocate the seriousness. You’ll see women shopping in elaborate kimono. Mitsukoshi has lots to offer foreign visitors. The staff at the front counter speak English. The information office in the basement can exchange your money. They can give you information about tax-free shopping, and there’s a duty-free section of the store. The basement features a variety of food products. Depending on when you visit, they may offer samples. The restaurant floors have a variety of restaurants with down to earth prices. Both Japanese and foreign cuisine are available. 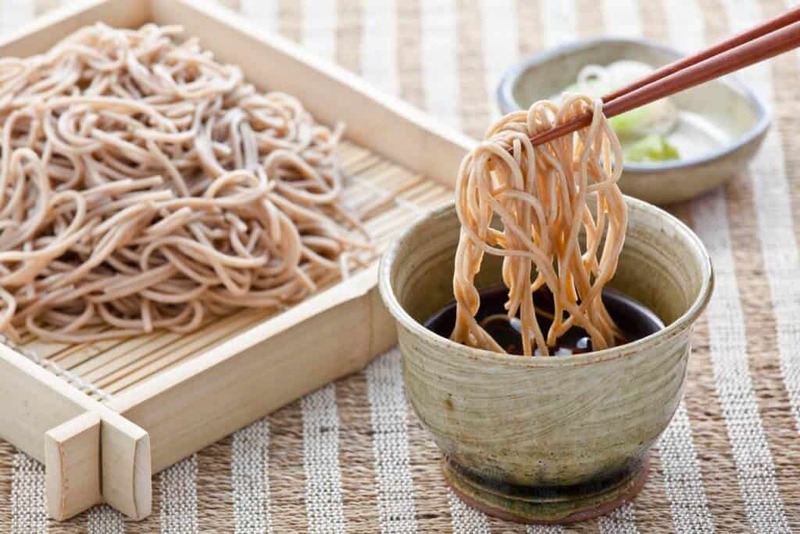 Be sure to visit soba (buckwheat noodle) restaurant Hakone Akatsukian. You might catch them rolling out and cutting handmade noodles — if you’re lucky. You don’t go to a restaurant to save. You go to splurge. If you’re looking to treat yourself, don’t miss Ladurée Salon de Té. The Parisian style tea house offers an incredible array of sweets and pastries. Ladurée is famous as the inventor of the macaron — the store’s signature treat. You can buy macarons to take home, but I suggest you savor them in the luxurious tearoom. Ladurée isn’t cheap. Two macarons set you back 800 yen. Tea, served in a pot that makes several cups, costs 1000 yen. For an extravagant treat, bring a friend and enjoy the afternoon tea set. Be prepared to spend 7,128 yen. 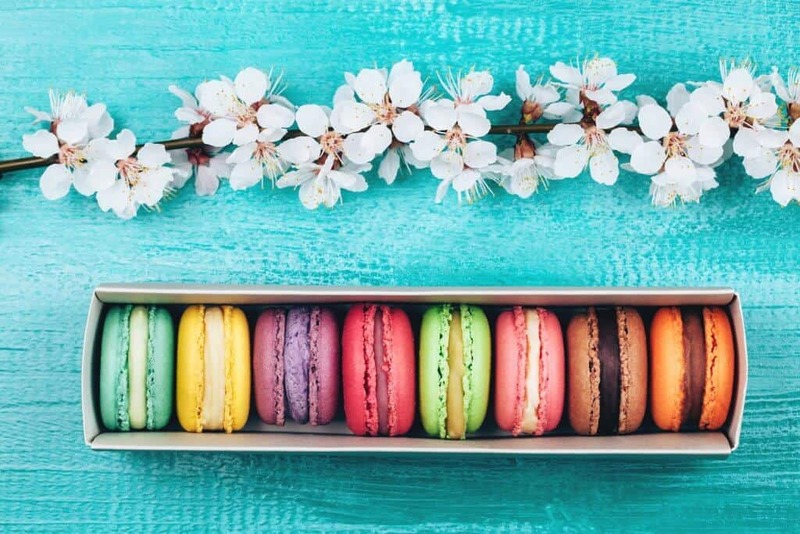 You’ll enjoy fresh juice, macarons, tea, sandwiches, and a selection of Ladurée’s pastries. Ladurée is popular. Go early to avoid a long wait, particularly on weekends. Ginza Wako is the district’s oldest building. Built in 1932, it replaced the Hattori clock tower. As a nod to its predecessor, the architect incorporated a clock tower into the design. The building’s a Ginza landmark, inside and out. The muted elegance of its interior is, like Mitsukoshi Ginza, a remnant of Ginza’s luxurious past. The Wako company makes high-end luxury goods. They’re known for watches, jewelry, porcelain, handbags, and chocolate. The 6th floor is an art gallery, Wako Hall. Matsuya Ginza is the newest store in the district. It showcases young designers and cutting-edge fashions. Forward-thinking is evident in the building’s design. 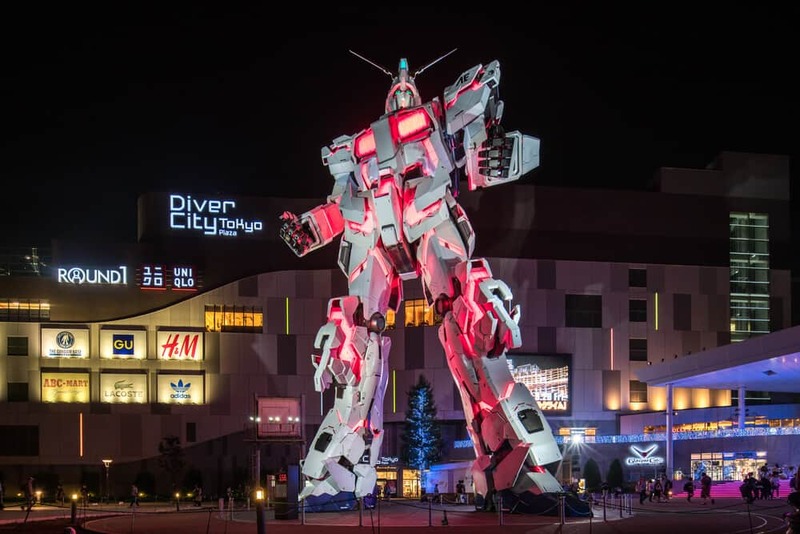 The outside features 16 million LED lights, allowing it to change its look. The entire building often serves as an advertisement. The giant display highlights Matsuya’s offerings. Don’t miss the food stores in the basement. The French bakery Maison Kayser sells pastries to die for. From 18:30 onwards, the stalls begin discounting their food. 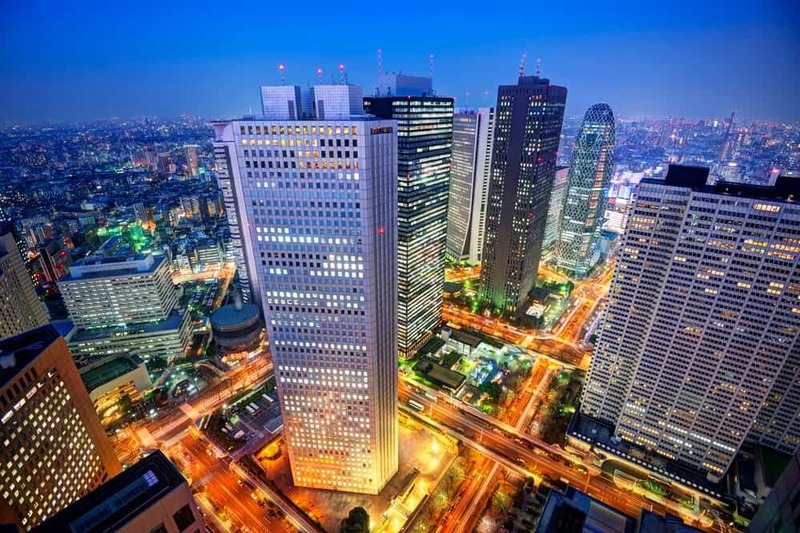 The Sony building’s the most famous building in Ginza. It’s slated for demolition to make way for the 2020 Olympics. The remodeled building opens in 2022. 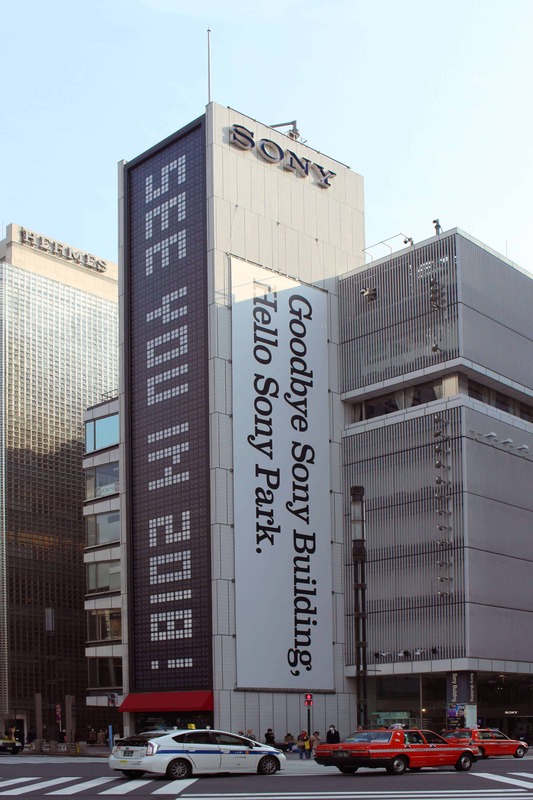 Until then, head a block away to Ginza Place, Sony’s new flagship store. The building is distinctive with white lattice gracing the outside. Sony displays products in gallery-like conditions. You’ll think you’re in a museum. The display emphasizes the cutting-edge design of Sony’s electronics. On the 5th floor, you can reserve a trial of a VR headset, or try out toys designed to teach programming. The 6th floor has customer support and a tax-free store serving the foreign tourist. Photography enthusiasts – this is the place to go! View the gallery of award winning photographs. Take a photography lesson from the pro staff. *Note that some restaurants in the building open earlier. Check the website before you go. The Uniqlo brand’s known for affordable clothing. You’ll be surprised to see such reasonable prices in Ginza. With 12 floors, you’re bound to find something that suits you. 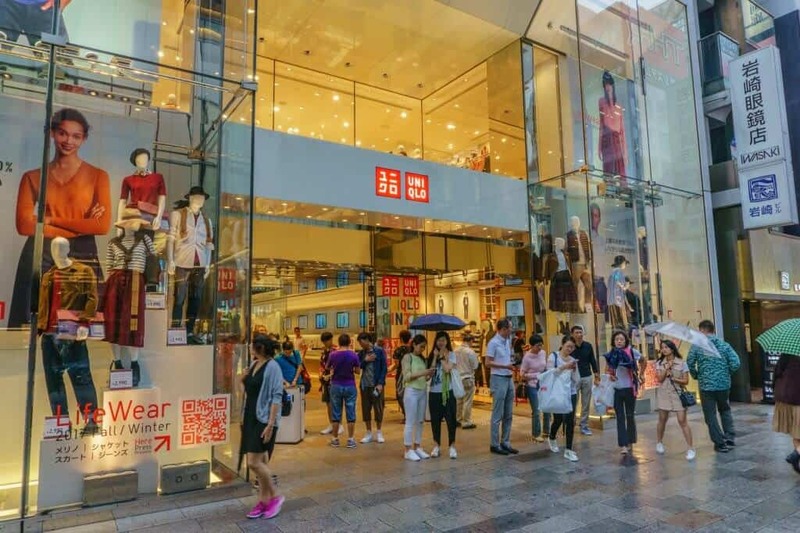 Uniqlo targets both Japanese and foreign customers. The clothes aren’t only for models — they offer stylish threads for all body types. Uniqlo’s a comfortable place to shop for everyone. The store employs many foreign staff. 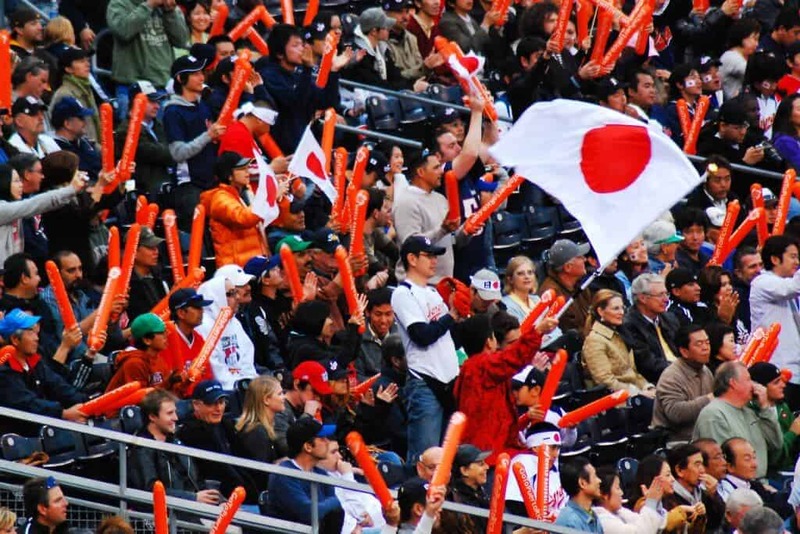 Even the Japanese staff speak English, so they can help you should you need guidance. Ginza’s not only shopping. You’ll find loads of fun things to do. Kabukiza’s the best-known of these. 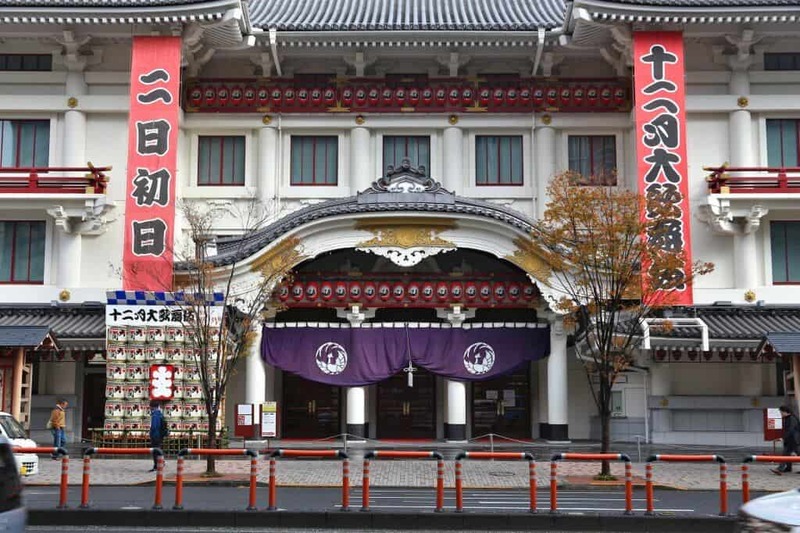 The Kabukiza Theater’s designed for kabuki. 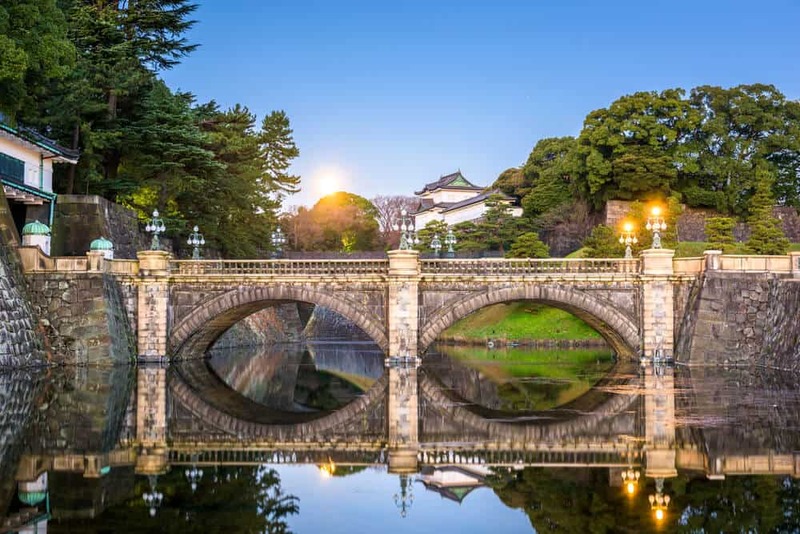 Constructed in the Meiji-era, the theater boasts a Japanese baroque revivalist style. Traditional architectural elements create a theater that jumps out of the 18th century. You’ll think you’ve stepped back in time. Historically, Kabuki served as entertainment for the common people. Kabuki’s the most accessible of Japan’s traditional dramas. The costumes are elaborate and over the top. You’ll love the exaggerated masks, makeup, and codified gestures. 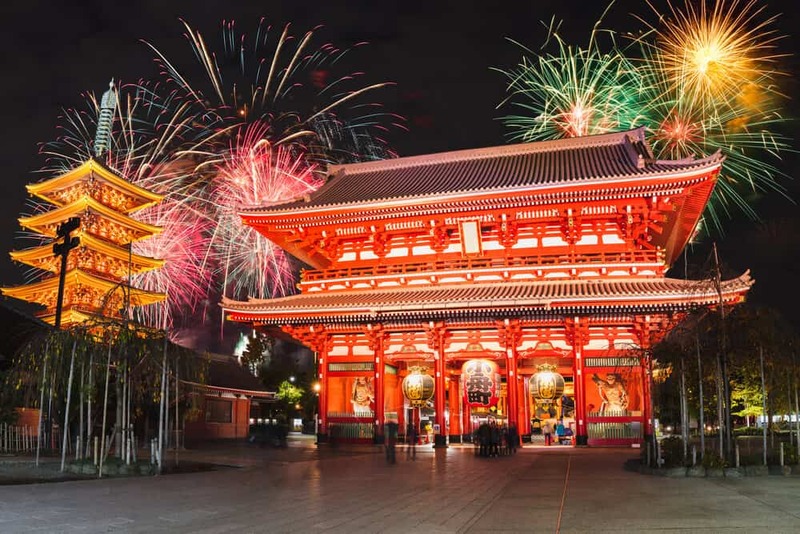 A full Kabuki performance can last 4 hours. If that intimidates you, don’t worry! You can buy tickets to each individual act. 60 seats and 90 standing tickets are sold for each act. Long intervals allow the audience to eat bento (boxed meals). The better seats at the front are for patrons watching the entire performance. 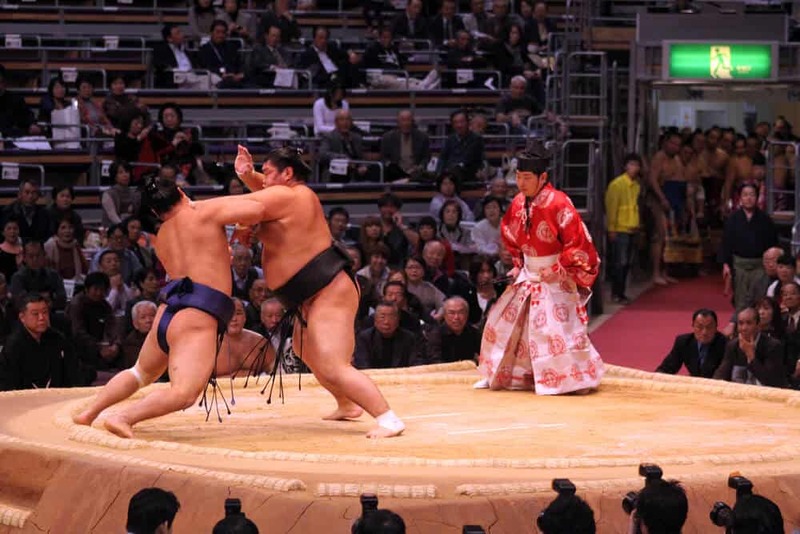 The Japanese in Kabuki is archaic, so don’t worry about understanding it. If you need an explanation, rent a headset with commentary when you buy your ticket. The top-notch English support increases the fun of the show. If so, you’ll love The Bank of Japan Currency Museum. The “gin” in Ginza comes from the Japanese character for silver. Ginza’s named after a silver mint operating in the area during the Edo period. Although the mint’s long gone, you can view coins made at the mint in the museum. The collection includes over 4000 items. Edo-period wallets and coin purses disguised as sword hilts are on display. You’ll enjoy a variety of interactive exhibits. Want to know what it feels like to lift a million yen? Visit the Currency Museum to find out. The gift store sells a variety of money related souvenirs. You don’t want to miss the world class dining in Ginza. 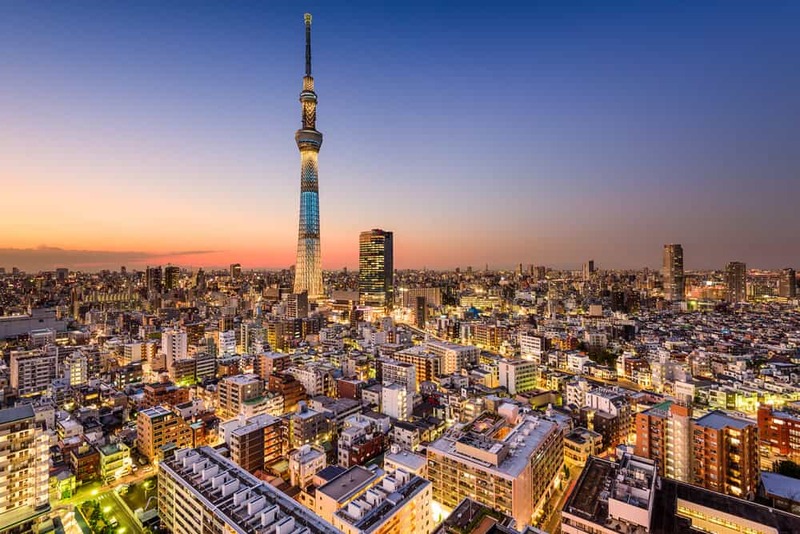 Tokyo has more Michelin starred restaurants than any other city in the world — many of them in Ginza. Sushi Yoshitake’s famous the world over. 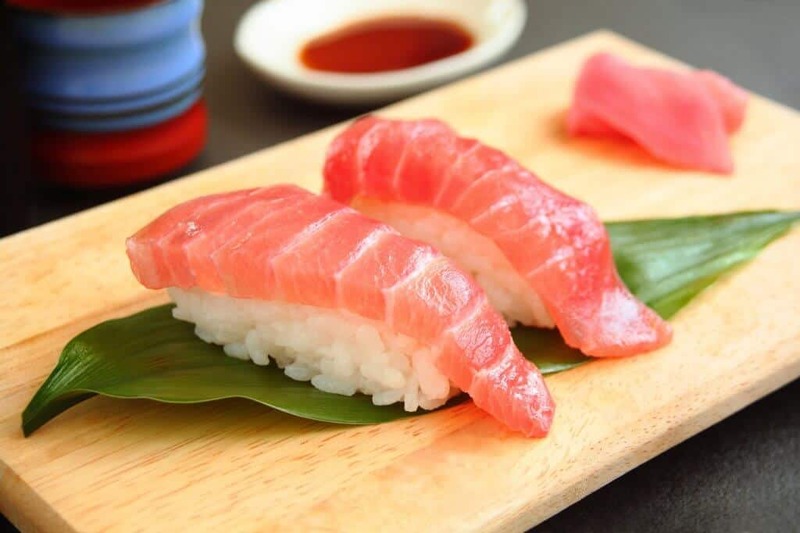 The 3-star sushi restaurant boasts US President Obama amongst its’ clientèle. Only seven people eat here at one time. Chef Masahiro Yoshitake works magic with sushi. He departs from tradition to bring his customers new and flavorful combinations. Reservations are a must. Want more Edo-era ambiance? Komparu-yu bathhouse sits tucked away on Ginza’s less glamorous side streets. The bathhouse opened in 1863, and not much has changed since. Colorful murals adorn the baths. They feature swimming carp and breathtaking paintings of Mt. Fuji. The baths are segregated by gender. If communal bathing doesn’t put you off, you’ll find Komparu-yu a relaxing excursion. Although a bath rather than an onsen, onsen etiquette applies. Undress in the changing room, store your clothes in a locker and wash before you enter the bath. You can rent towels and toiletries from the front desk. 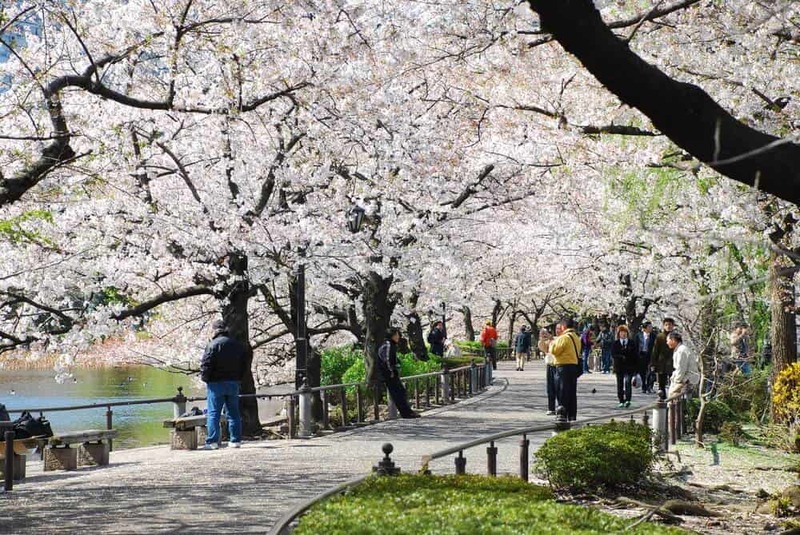 If you only have a few days in Tokyo, concentrate on the bigger attractions. If you have time, you’ll enjoy how different the ambiance is compared to other parts of the city. Even if you don’t have much time for Ginza, Kabukiza should be high on your list. It’s one of the best places to view Kabuki. 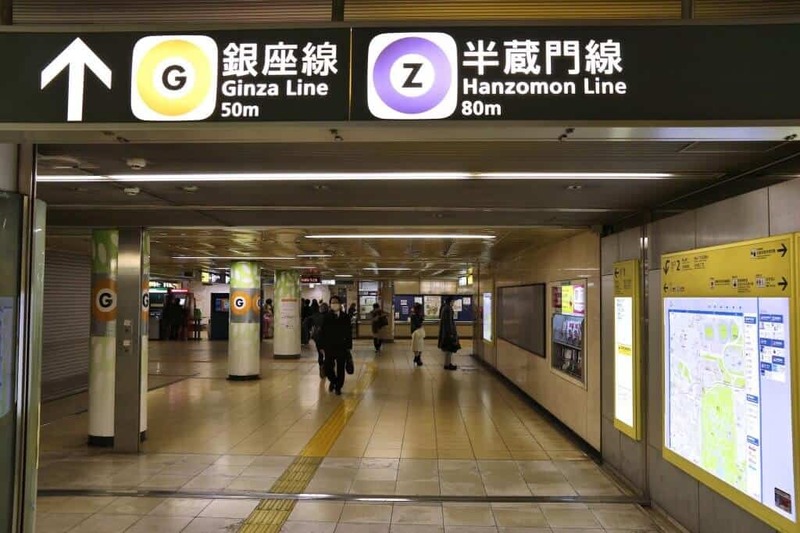 Three stations put you within walking distance of Ginza. 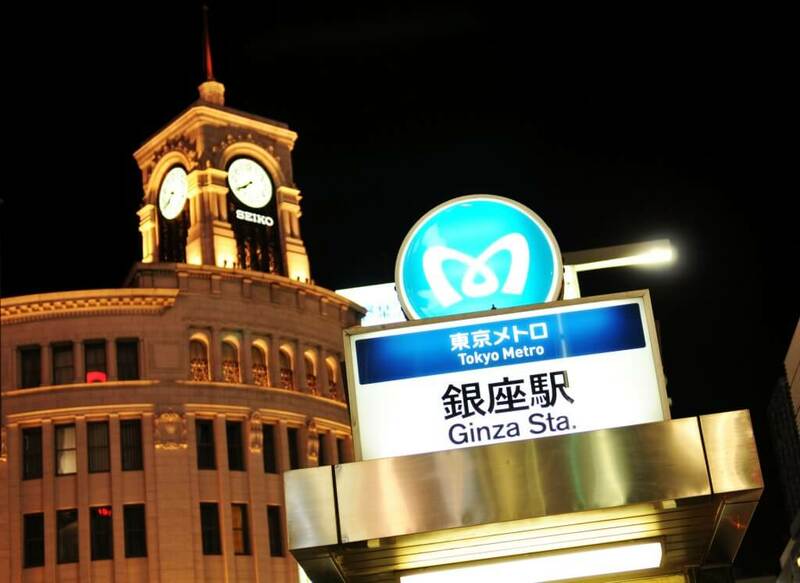 Ginza Station’s on the Hibiya, Ginza, and Marunouchi lines. Higashi-Ginza is on the Asakusa and Hibiya lines. The most distant station, Ginza-itchome, is on the Yurakucho line. Most of the major stores center around Ginza station on Chuo-dori. Chuo-dori becomes a pedestrian street Saturday and Sunday afternoons. From Tokyo station, head to the Tokyo Metro Station. Take the Marunouchi line towards Ogikubo, getting off at Ginza. 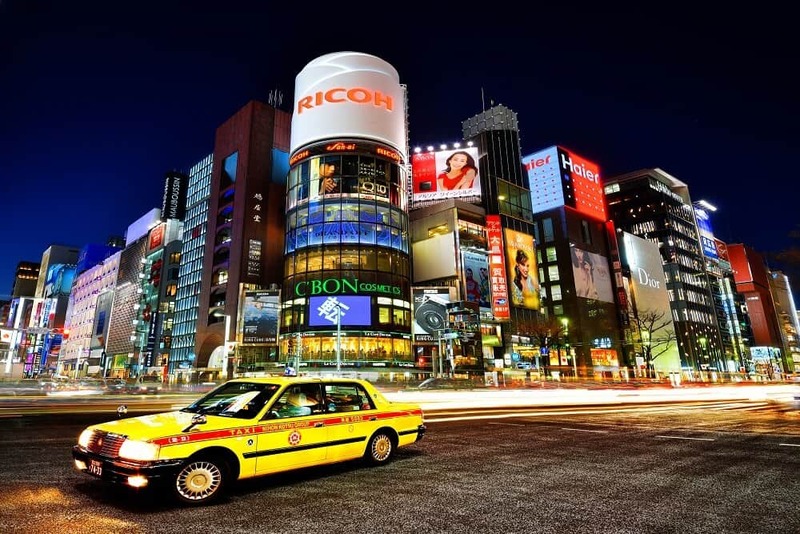 The trip takes roughly 2 minutes and costs 170 yen. The closest JR station is Yurakucho. 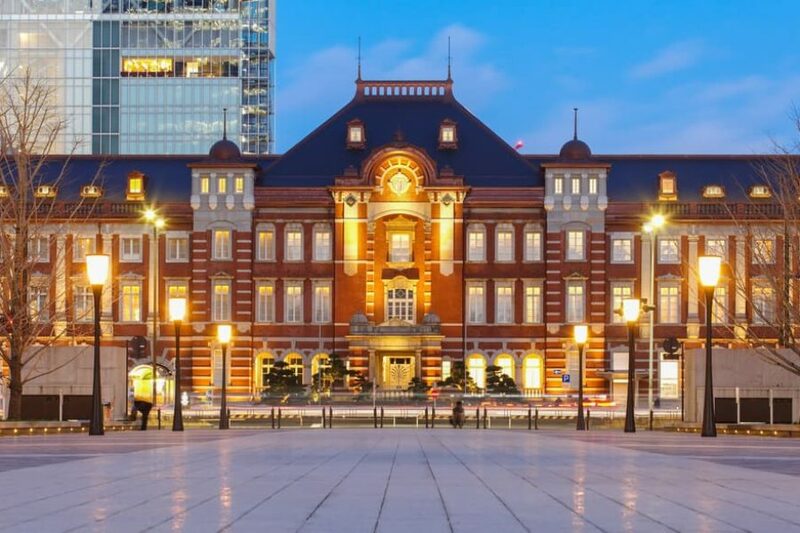 From Tokyo station, Yurakucho is only 1 minute away on the Yamanote line towards Osaki. The cost’s 140 Yen. From Yurakucho Station, it’s a 5-minute walk to Chuo-dori. 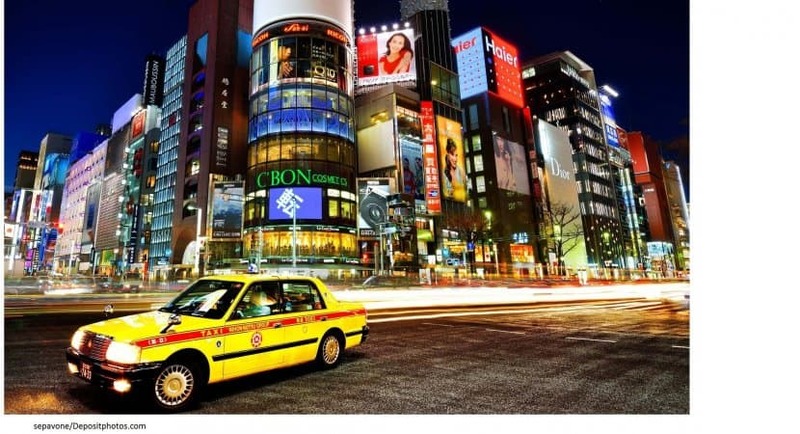 Will you visit Ginza anytime soon? You’ve truly never shopped until you’ve been in a skyscraper that’s one giant store. Let us know in the comments if any of these things are on your to-visit list. If you’ve been to Ginza, we’d like to hear your impressions of the place. Any stores you’d recommend instead? Anything cool we missed?